for our 2019/20 Championship License. Our key financial information was submitted in advance of the 31st March deadline and we have now received confirmation that all information has completed the Expert Review Period. 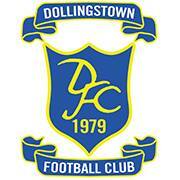 Earlier in the year, LDFC had completed the Sporting, Personnel, Legal & Infrastructure parts of our application. Despite the club being unable to gain promotion to the Championship for 2019/2020 as league or play-off winners, it remains one of our key off-field objectives every season to complete our license application and to reiterate our ambition to return to senior football in the near future. LDFC wish to express our thanks to Colin Hopkins and Ashley Wragg, who have overseen the entire application again this season and spent several hours working behind the scenes. We also thank Terry Thompson for his assistance with the financial templates and his work all year round on the club’s finances. All club licenses are awarded and confirmed by the IFA on 25th April.